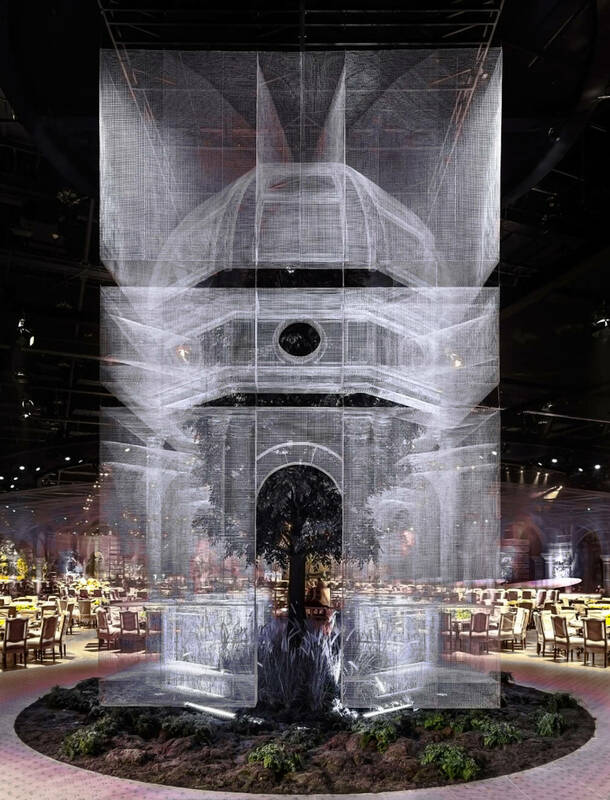 Italian artist Edoardo Tresoldi is known for his specialization in large-scale wire sculptures. 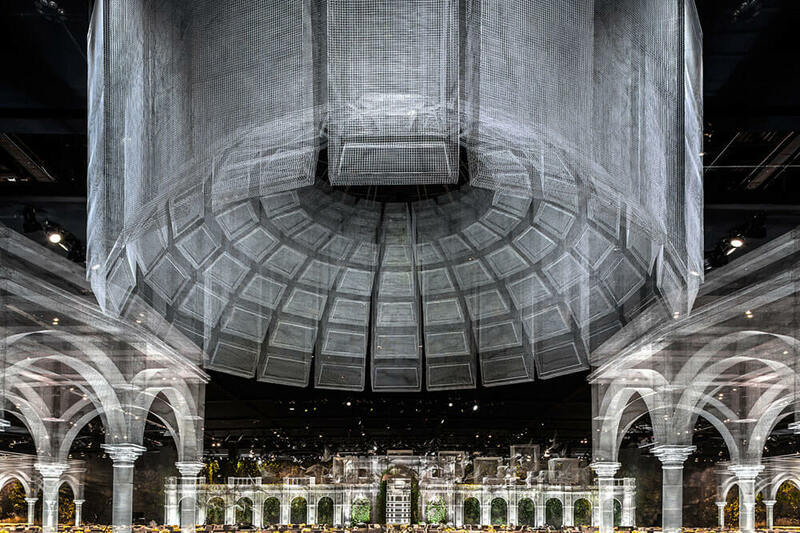 He has previously created both architectural and figurative pieces for venues including the British art and music festival Secret Garden Party. 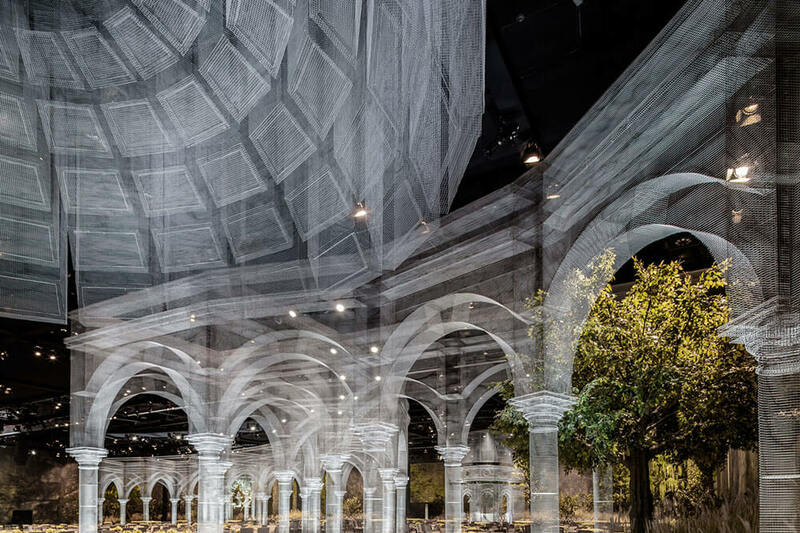 Also, Tresoldi has used wire to recreate an early Christian church on an archaeological site in Siponto, a port town in southern Italy, a majestic building dating from the 12th century which was destroyed in an earthquake in the 13th century. 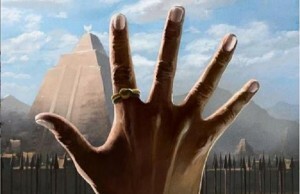 Now he has been tasked to create an expensive pavilion as a part of a royal event in Abu Dhabi. 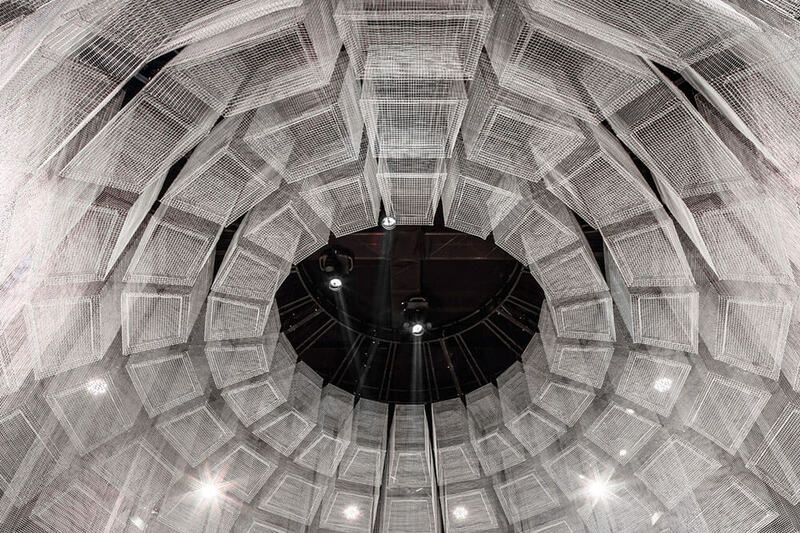 Within the 7,000 square meter space, Tresolidi composed elegant partitions of architectural elements built from wire. 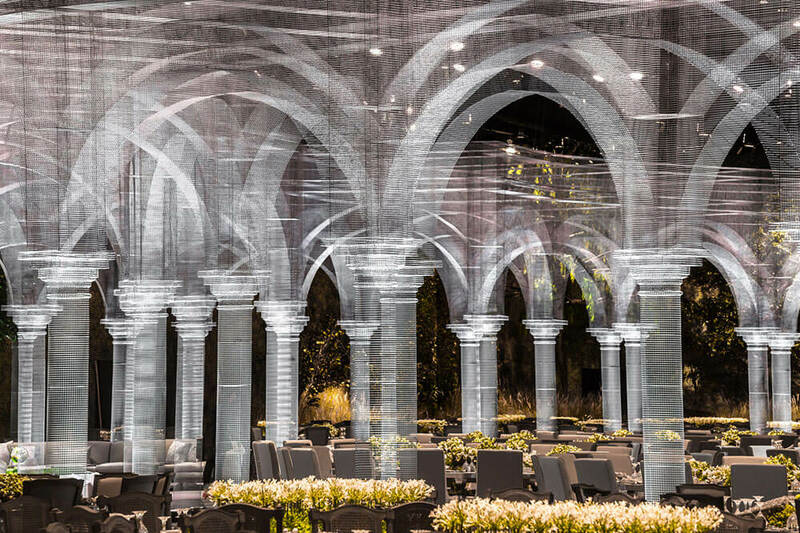 The event space, as you can see in the photos in the gallery below, looked really dream-like or even ghost-like due to the translucency of architectural elements such as domes, columns, and arches. 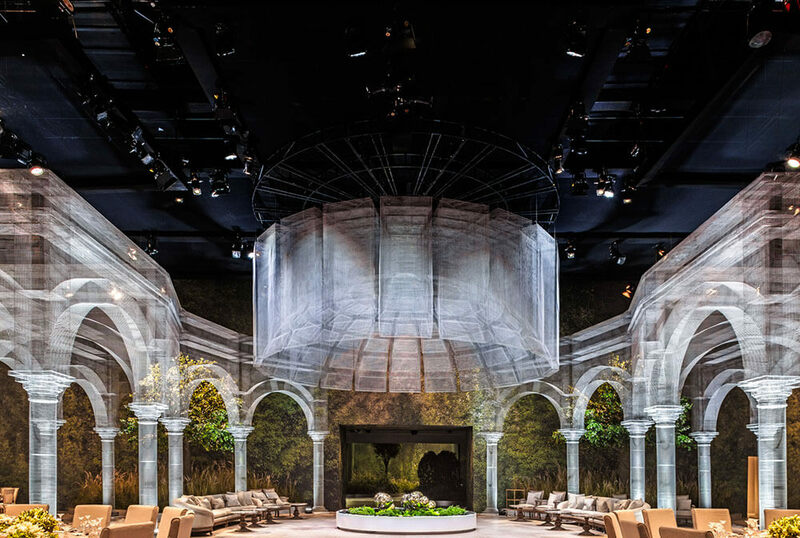 It took the artist about three months for this royal installation with the help of Dubai-based studio Designlab Experience. 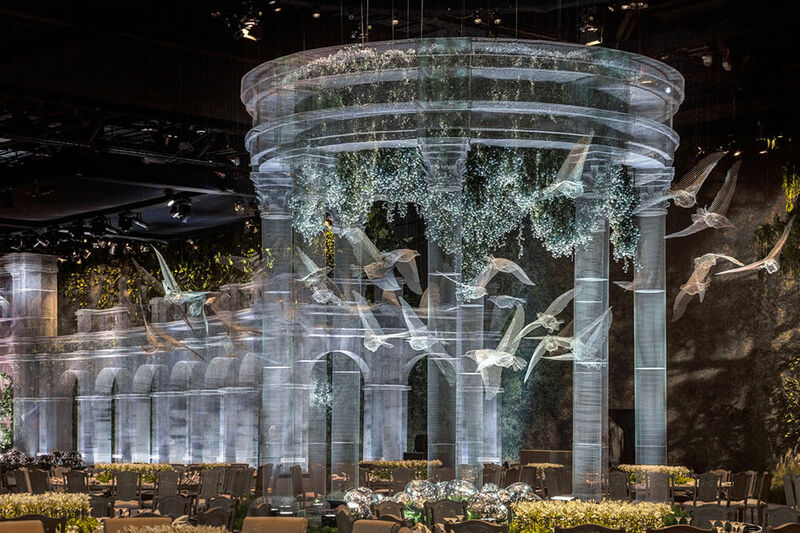 It was planned to re-install separately parts of the installation after the event and to place them in universities, parks, and museums across the UAE capital. 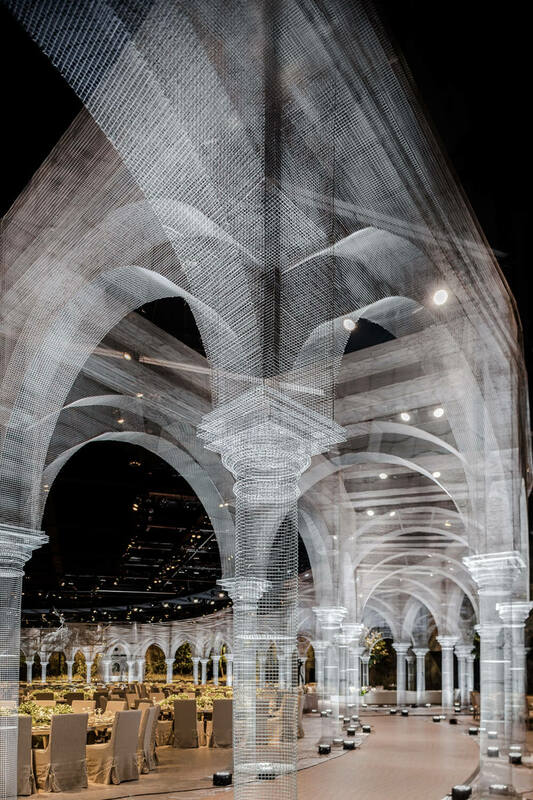 If you like this Edoardo Tresoldi installation check out more of his works at his website. 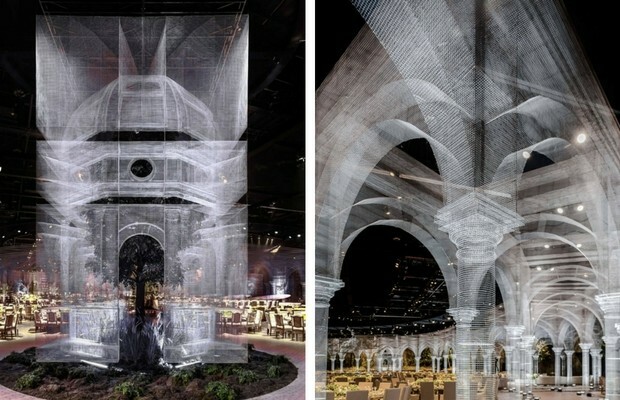 Italian artist Edoardo Tresoldi is known for his specialization in large-scale wire sculptures. 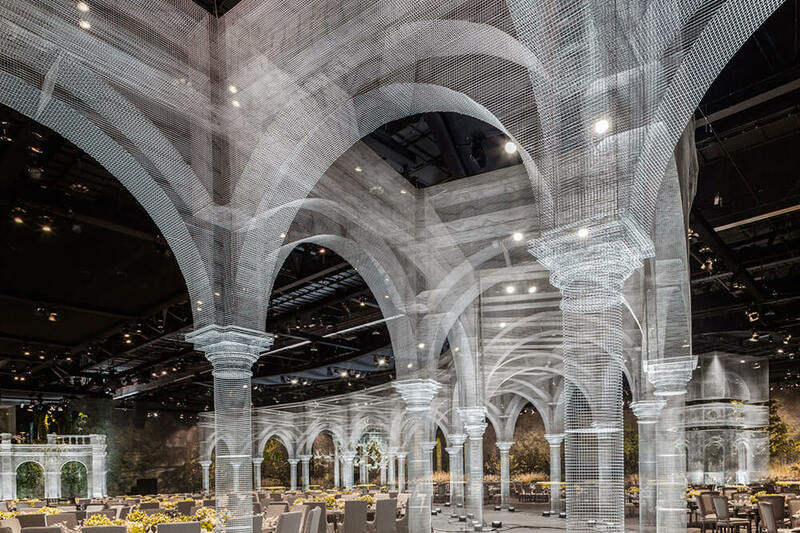 It took the artist about three months to compose this elegant installation of architectural elements built from wire within the 7,000 square meter space. 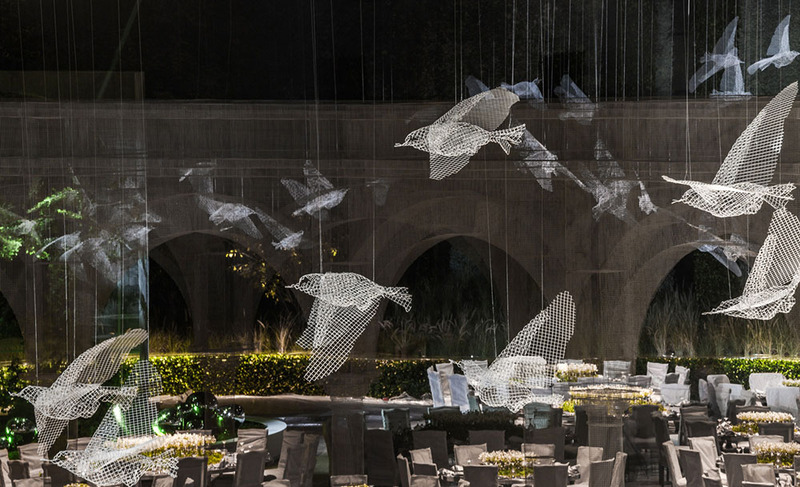 After the event, partitions of the installation will be placed all over Abu Dhabi separately in universities, parks, and museums. All photos © Roberto Conte, courtesy the artist.